Coping with bigotry is never an easy thing to do, especially if it occurs on a daily basis, for example in the workplace. Intolerance of a particular group of people is a major part of bigotry and in a number of cases the intolerance is irrational. A bigot is a person who is intolerant of another person’s views and lifestyle. Bigots may for instance dislike a certain race because of the colour of their skin or they may find homosexual behaviour intolerable. When challenged, bigots will usually not be swayed by another person’s opinion. They will stick firmly to their views even if these views are illogical or irrational. Bigots will never see their views as being wrong, they will always assume their opinions are valid and of more worth that the group they are intolerant of. Bigotry is usually associated with the dislike of certain groups. Bigots are prejudiced people and will treat other people of whom they are prejudiced unfairly or unfavourably. A common example is the racist bigot who harbours prejudice against people because of the colour of their skin or the country they were born in. In most cases there is absolutely no logical reason for this prejudice. If a reason were to be looked for then it will usually come down to fear, ignorance and an intolerant attitude passed down from relations. There are bigots in all corners of society. There are many people who will claim not to have any trace of bigotry in them whatsoever. But in realistic terms, when you scratch the surface, a surprising number of people will have some ingrained prejudice. However, bigots are usually people who will make their extremely prejudiced views known, usually when they have support from other bigots. This can be very distressing if one person is singled out for this type of abuse. This type of abuse happens on a regular basis in the working environment and should not be tolerated. There are also bigots in our society who would prefer that their views remain hidden. In most cases this is through fear of reprisals in areas such as employment. Recent media reports saw a member of the British police force fired from his job because he was a member of a racist political party. A leaked party member list brought the surprising revelation that members of this political party were doctors, police officers, lawyers and other supposedly intelligent members of society. Should a person really be afraid of a bigot who is afraid to stand up when it comes to their own views? Bigotry can cause a huge amount of distress and misery. This kind of prejudice can lead to physical and verbal attacks, and the damage to the victims can be psychological as well as physical. At its most basic level, bigotry is a form of bullying and it can happen in all areas of life. Bigotry can occur in school playgrounds to the highest levels of various employment sectors. Bigotry can reach very dangerous levels when it is officially organised; as seen in the actions and results of certain racist political parties. There is no justifiable excuse for bigotry and it should never be tolerated. In a number of cases it will come as a stronger person, usually in greater numbers, attacking a weaker or single individual. Standing up to the bigots in our society does take courage. However, there are laws in Britain that do offer protection against discrimination and hate crimes. There are legal consequences for bigots that use discrimination to harass and infringe on the rights of others. Anyone who has been or is a victim of bigotry should report the matter to the proper authorities. 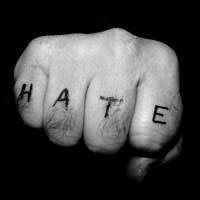 Hate crimes should always be reported to the police and the matter can be taken to the criminal courts. Bigotry that occurs in the workplace should always be reported to management or the Human Resources department or to union officials. Bigotry will probably never be eradicated completely in Britain. Unless people are educated to respect the rights and views of others this form of abuse will continue to exist. Hopefully, generations to come will be able to outgrow and overcome this outdated way of thinking to make Britain an even more tolerant and equal society. @Standup4it. Seek advice from your union or ACAS. This is the kind of behaviour companies should be clamping down on. You could also try Report It.org.uk for some good advice. So at work this week i had a guy start making outlandish comments based on stories in the paper. About how Asian men are all abusing underage girls, and then moved on to claim that 70% of crime in this country is done by blacks and asians. And that with the new car tax rules asians and blacks will be able to drive anywhere they want. I am a white british male, but i find this type of comment offensive and quite alarming. i pointed out that his comments could be taken as rascist as they are ill informed and have no basis of fact. The counter aurgument was that his wife is south african so he cant be rascist. it worked up for 2 days with more outlandish claims and talks of sending these people home To there own country etc. The usual lines. not once was a derogatory term used, but the comments where what i percieved to be racially inciting Because it was within a group at coffee break. My work place has now moved this to an investigation after he threatened to take me outside and beat me up. I should have faith in my company to investigate this properly but unfortunately i do not. The last time i stood up to a rascist comment from a colleague i was threatened with the sack because i had no right to challenge another member of staff and they felt threatened by my comments. And i shouldnt take offence because no black person was around to hear it. What are my rights within an organisation that tolerates this kind of behaviour.